One spits marbles. One rips up anything it can get its hands on. One shuts any door it sees, one shocks you with static electricity, and yet another echoes anything you say. What are they? Why are they here? 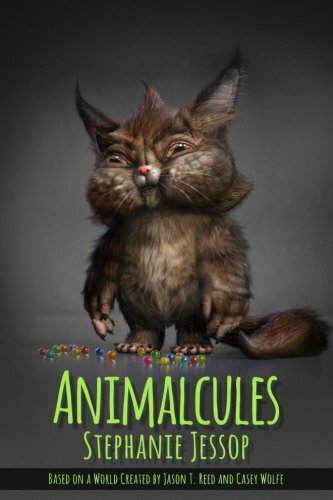 Well, they're called Animalcules, Fiona knows that, she doesn't know why or how she knows that, she just does. But why they're here is another matter entirely - she has no idea. Nor does she know how to get rid of them as they follow her wherever she goes. But if she doesn't figure things out quick, it's going to get real bad, particularly for the people in Mexico CIty who are now dealing with a building-size Animalcule destroying everything! 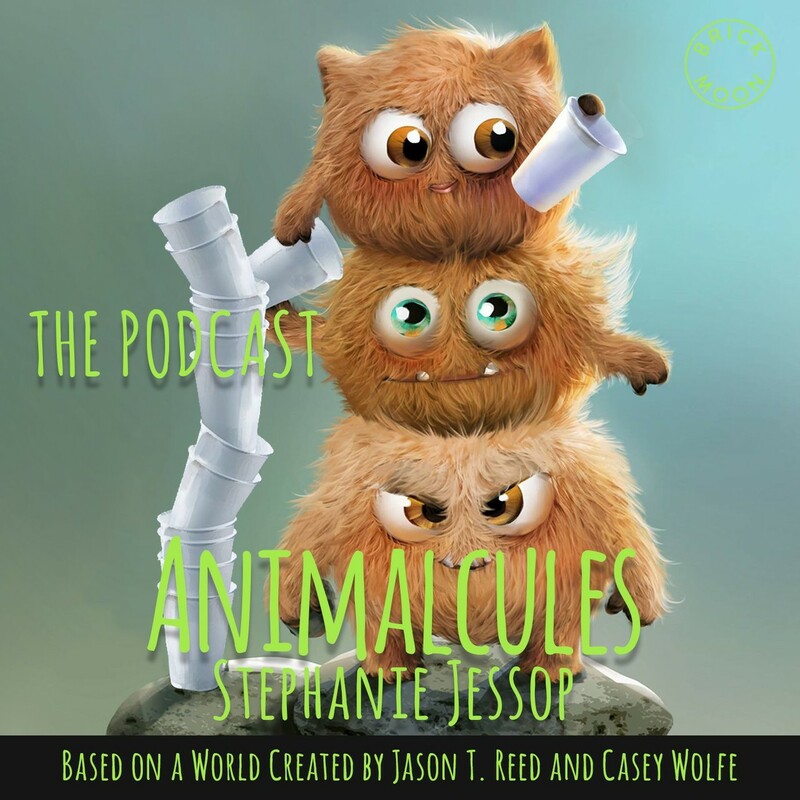 Also from Brick Moon Entertainment, the Animalcules Podcast series, a five-part enhanced podcast for the whole family! Do you know what an Animalcule is? Neither does Fiona Baron. Oh, she knows what they’re called and what they do – Marbles spits marbles, Sparky shoots off static electricity, Taper tapes things, Ripper rips things and… well, you get the idea. Fi doesn’t know HOW she knows the names of these creatures or even what they’re called. What’s more – she doesn’t know what all 14 of the little critters want with HER… But she’s about to find out. Available NOW! Revolution: Stories from the Future Revolution is available from Brick Moon Fiction featuring my short story "Pale Passengers." Romance: Stories from the Future of Love is available from Brick Moon Fiction featuring my short story "The Tangerine Egg." The Brick Moon Fiction Annual Vol 1 is available from Brick Moon Fiction featuring my short stories "The Invoice" and "Glopped." Trash: Stories from the World of Waste is available from Brick Moon Fiction featuring my short story "The Invoice." Thirst: Stories about the Future of Water is available from Brick Moon Fiction featuring my short story "Glopped." A Chimerical World: Tales of the Unseelie Court is available on Amazon from Seventh Star Press featuring my short story "Wonderland." Legendary is available on Amazon from Jaffa Books featuring my short story "The Little Sister." Dark Bits is available on Amazon from Apokrupha featuring my short story "The Door." Ugly Babies 2 is available from James Kirk Ward Publishing featuring my short story "Charlotte." All of my currently available work can be found at Amazon.